There have been some exciting innovations to the personal transportation industry in the last decade. One of those innovations is the advent of rideshare companies such like Uber and Lyft. In this post, we’ll focus specically on Lyft (because I dislike Uber). For those that are new to the concept, ride sharing is a community of personal drivers. These drivers use their own vehicles and offer to drive passengers to their destinations. Lyft drivers cannot, however, pick up passengers who hail them on the street, but are instead connected with passengers through Lyft’s smartphone apps. 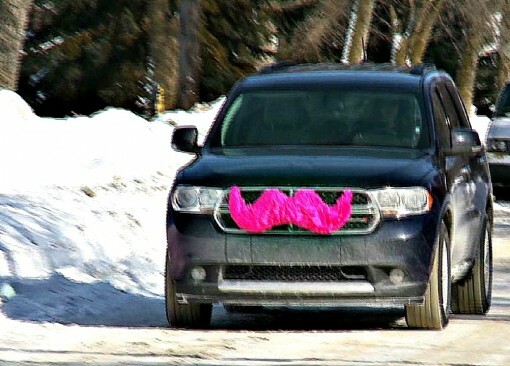 Lyft has been available in Minneapolis since July 18, 2014. After an almost unanimous vote by the City Council, Minneapolis became the sixth region to legalize Lyft’s ridesharing service. – In the Minneapolis-St. Paul area, Lyft is there for you 24 hours a day 7 days a week. – No matter where you are or where you end up, you can count on Lyft for rides in a matter of minutes. Why is Lyft So Easy To Use? Lyft is simple because you can order your Lyft from your phone. Of course, you have to first download and use the Lyft app before you can request a ride and be connected with a Lyft driver, but we can easily download apps in our sleep (or when drunk). From there, set your destination, wait for your ride, and after the ride, you can pay via the Lyft app as well. It’s all done in the app. In addition to ordering and paying via the app and website, you can also, among other features, view the coverage areas, sign up as a driver, and estimate the cost of the ride. How much does Lyft cost in Minneapolis? Lyft is the one of the more affordable rides in town. Whether you ride alone or with up to three passengers, the ride is your own personal transportation. One to two passengers? Use Lyft Line. Have more than 3 people to come along? Request Lyft PPlus which allows you to bring up to six passengers. Besides just going from point A to point B, there is so much more that makes getting a ride with Lyft fun yet relaxing. For one thing, Lyft has awesome drivers from the community. The drivers themselves pick their own schedule and many of them are driving for Lyft part-time and do something else as their primary occupation like florist or firefighter. Also, no more standing in the street waving down (or waiting on) taxis or being stuck somewhere without a ride and having to walk (when it’s snowing). With Lyft, if you are in the coverage area, which includes all the hip and popular destinations such as Lowertown, Cathedral Hill, Northeast, The North Loop and Nicollet Avenue. and you have access to the Lyft app, then a ride in just minutes away, 24/7. Go to Uptown Minneapolis or to Downtown Wayzata.